Published on January 14, 2013 in Android. This post is just to inform that my eBook "Make Money on Android" won't be available for sale anymore. I have decided to stop selling it as the market is changing each day and I do not have time to update it. In this place I would like to say thank you to all buyers! I have heard a lot of good words about the eBook and I know it has helped to a lot of you to build high and stable income. As I have heard some of you are making even more than me. I am very happy that I could help so many developers. Once again a big Thank you and Good luck! Tags: ebook, make money online. Published on May 16, 2012 in Android. Just as promised I have prepared new version of my "Make Money on Android" eBook. It is based on previous edition with a lot of content added and some edited. Subtitle has been changed to "How to make $3000.00 on free Android apps" (instead of $1500.00) as info included have easily doubled my income. Moreover newest version have 3o pages in total (instead of 20). Now I have good and bad news. Firstly the good news. 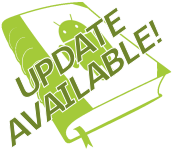 Updated version of eBook is free for all who have previously purchased old edition! You just need to login with your password to my blog members area to download it! If you still do not have your password (bought eBook before I have set up login/password system), please contact me via my web form with your purchase ID. Now the bad news. If you have not previously bought my eBook the new price is $29.95 (instead of $19.99). Anyway as you may see in comments on the purchase page it is worth the price! And many fixes and improvements! If you think the price is too high you need to verify comments of current buyers again! I am not charging per page but for the knowledge that for many of other Android developers have doubled or even tripled their income! Price has been set on $29.95 to be sure that only developers who are really interested in Android development and want to invest money in their business buy it. I do not want to spread all of the info around to people who are not serious about their business. If you are looking for more info about my eBook please visit my purchase page. All comments from readers of new eBook version are welcome and highly desired (under this post). Published on January 3, 2012 in Reports. This report is late (almost like usual...) as I have made a little holidays in December away from the computer. So here is a November 2011 income summary. Moreover I have decided to publish December report with the 2011 annual summary by the end of the January. So if you are interested in my income math you are welcome to watch my blog (at least till the end of this month). Tags: Android, make money online, revenue. Published on November 28, 2011 in Reports. Goal reached! My regular income still seems to grow. My lastly introduced in my "Make Money on Android" eBook method seems to be working very well (not only for me - check lastly published success story and comments). As you will see in the numbers I have no reason to complain. My current income generated online lets me to live in my country quite comfortably. Lastly most of my work time has been spent on Android Development. Preparing updates and some new software in preparation. Moreover I have found great way of increasing my productivity. Read this post further for more details. Published on November 25, 2011 in Android. 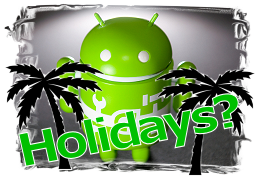 Over a month ago I have shared two Android Developers Success stories of my loyal followers. 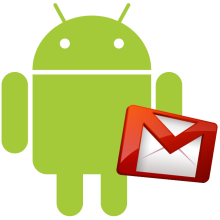 Today I would like to publish one more email received by Android Developer that has achieved income close $1000.00 per month. He has been kind enough to provide screenshot of his Admob stats with exact description of his revenue periods. Make sure you read this post to the end for a chance of getting free copy of my "Make Money on Android" eBook. Published on October 24, 2011 in Reports. 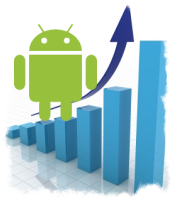 As stated in my previous income report my earnings from Android apps development is getting much higher. Mostly because of last discovered method of increasing app visibility that has been described in last update of my eBook. As you may read in lastly published post called "Android Success Stories" and in many comments under my income reports and other posts about my eBook - that methods really works! This time I will sum up all my income made on September 2011. As you may see it is another great month. Let's start! Tags: Android, make money online, revenue, self employed. Published on October 18, 2011 in Android. 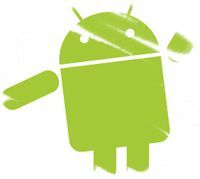 As you may know there are no many success stories written by the Android developers. 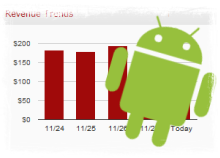 Regular readers of my blog already know my success story (see my monthly Android Developer Income Reports for details). But what is main reason of not hearing much about developers making money on Android? That most of them do not write their own blogs and do not have places to share! 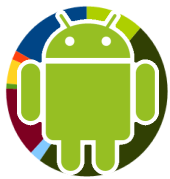 Tags: Android, make money online, revenue, success. Published on September 22, 2011 in Reports. Most of my apps went from 1000 to 3000 downloads a day.others from 700 to 1500. Even one app went from 1000 to 7000 downloads a day and is now an a stable 5000 downloads a day !! and is in the top 50 in the entertainment section :). My total daily revenue is now about between 70$ - 90$. If any one of you want to make some guest posting to share your success story I will be happy to publish it on my blog. Just let me know! I am really happy I could help with such a simple tip! Of course all my techniques are 100% legit and are just using the system the right way! I feel really good that I can share my success with all of you and make a few more additional bucks. <AUTOPROMOTION> Just if you are interested I am highly recommending you my eBook for more details. </AUTOPROMOTION>. Published on August 24, 2011 in Reports. It is over one year since I gave up my day job to become an independent developer (It is more than a year but I have missed a few reports so I will sum 12 months that has been reported on this blog). All my projects that generate any money has been build by me with a little help of some freelancers. All has been done on my own schedule without any boss complaining or some crazy deadlines. Some of you are reading my reports from the beginning and some of you are here for the first time. I believe that this annual report will be very interesting for all of you. I will make a two sections. One where I will spilt all my income by months and another where I will sum all sources of income from last 12 reports. Published on August 17, 2011 in Reports. If you are curious why this report number is double numbered it is because I have missed one. So this time there will be two months in one report (of course numbers will be separated). So this time it will be easier to all of you to compare two months. Unfortunately it looks that there was some slowdown as it is the holidays season. But it started to look better last month (at least for Android revenue). If you want to compare those reports with my previous one you may want to check my archive. Tags: Android, make money online, self employed.